Order your Rhodia Wirebound Waterproof Lined Notebook 9 x 11 today from FahrneysPens.com. Fine Pens, Refills & Luxurious Gifts – great prices & fast shipping. 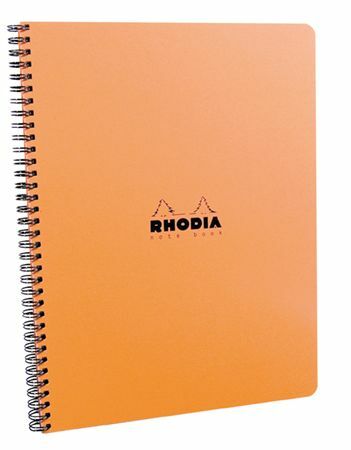 This Rhodia Spiral Bound Notebook features a waterproof cover with a frame and margin along the top, space for subject titles and better note organizing, as well as micro-perforated lined sheets for easy tear off. Sheet size is 8 ¼ x 11 ¾. In orange or black.